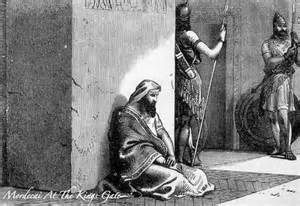 As you will recall from Part One, King Xerxes put on a six month display of his kingdom’s wealth (c. 482 B.C.) Most likely he wanted to show off his ability to conquer and to accumulate the wealth of the conquered as a means to impress his generals and his court advisors. Xerxes was whetting the troop’s appetite for the next conquest. Persian Empire, circa 500 B.C. To carry on the family’s acquisition ‘business’ the Persian monarch Xerxes planned to invade Greece. This after King Darius’ had died while he was preparing for his second invasion of Greece. Xerxes, like Darius, wanted to punish and subdue the Greeks for previous loses in battle and for Greek resistance to the Persian throne. You might recall the Battle of Thermopylae (lit. “hot gates”) the Persians fought against Greek city-state alliances led by King Leonidas of Sparta (as depicted in the movie “300”). A conquest of Greece would increase Xerxes’ kingdom, his wealth, his harem and his fame. Xerxes was already known as “King of Persia and Media”, “Great King”, “King of Kings and King of Nations” (i.e. of the world). He wanted another conquest, another notch in his titles. 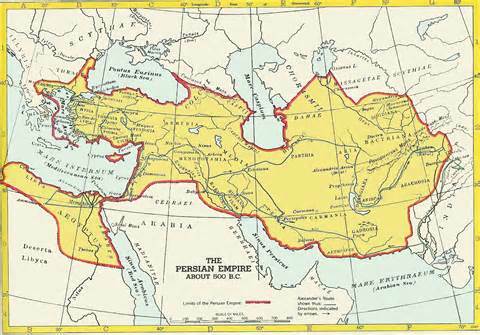 There was a ‘reason’ for the exalted titles: about 2500 years ago, modern Iran (Biblically referred to as Elam and Media and Persia), and portions of Afghanistan, Iraq, Kuwait, Pakistan Tajikistan, Turkey, and Turkmenistan were once part of the extensive Persian Empire. Now, one could wonder, also, with regard to attacking Greece if Xerxes had heard of the Greek Dionysian festivals dating from 487 B.C. These rural and city festivals honored the Greek god Dionysus and involved a lot of alcohol. Xerxes, it could be said, based upon past conquests, was into monarchial enforced multiculturalism. The same self-absorbed hard-nosed demeanor is seen in modern Iran’s obstinate conquer-the-world-for Islam rulers ‘two-faced diplomacy’. That ‘diplomacy’ includes their diplomats saying “let’s talk about us” and the most recent words, ‘Death to America” spoken by the Supreme Leadership Authority of Iran. In fact, the title given to Iran’s (Persia’s) theocratic head honcho is “Supreme Leader”. The religious lineage of Persia, foundational to its later acceptance of the false premises of Islam, includes, like many ancient empires, the worship of numerous pagan gods. Ahura Mazda (Mazdaism) was considered by Persia as the Creator and the supreme god. Lesser deities Spenta and Mainyu were included. Herodotus, the historian, considered the Persian religions as being simplistic- a worship of many gods and of nature itself-wind, fire, water, earth and sky. Back to the Future: by way of the Lord’s prophet Ezekiel, in chapters 38 and 39 of his recorded words we learn of a future confederacy of nations linked to Persia (Iran)-the Last Assyrian, Gog and Magog (Russia), Gomer and Togarmah (Turkey), Ethiopia and Libya-that align to do battle, to plunder and spoil Israel and the ten tribes living there. Also recorded for our faith in God’s salvation is the fact that the Lion of the tribe of Judah, the Lord Jesus Christ, intervenes and does not let the enemy of His people come into Jerusalem. Back to the Past: For the invasion of Greece Xerxes would need everyone on board with the plan. His ‘greatness’ and his designs for a Persian world order were at stake. During the six months of lavish exhibition Xerxes spoke with his military men plotting with them the invasion of Greece. Then, as recorded in The Book of Esther Chapter One verse 5, Xerxes, at the end of those six months, declared a seven day drinking feast. It was time to ‘juice’ up the troops. I could easily imagine that Xerxes was aware that wine played an important role in the Greek Dionysian culture. So why not give the troops a taste of what could be had-a harvest of grapes from someone else’s garden? 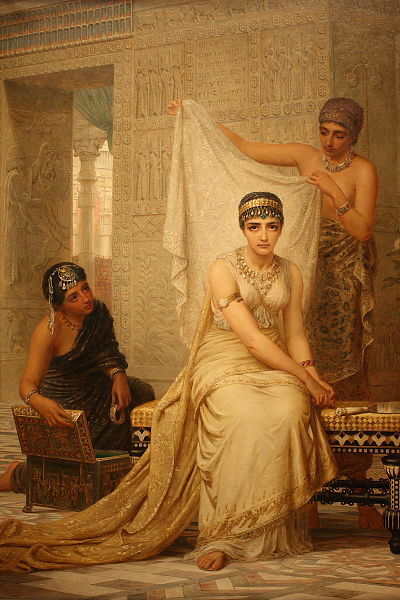 Same song, second verse: Queen Vashti, it is recorded, “also gave a banquet for the women in the royal palace of King Xerxes.” Wine, women and song- a “Ladies Only” sign hung on the door. This was a smart move considering that hordes of inebriated men were in the wings of the palace. Well, after seven days of ‘perfected’ drinking the King decided to show off his most prized possession to the rabble. Xerxes sent an envoy of seven eunuchs to fetch his queen. As mentioned in Part One, Queen Vashti said “No.”. So, after some bad counsel Xerxes, as king of his household, banished the Queen and… invaded Greece in 480 B.C. Defeated in battle and the prior decree of the Queen’s banishment left Xerxes feeling, let’s say, like one of his eunuchs. The bad decisions were taking their toll on his manhood. Maybe a new queen would help him regain his machismo. Now here’s something rather strange. A disconnect begins. “After these events, King Xerxes honored Haman…” Huh, and huh? Haman, an Agagite-who may possibly be related to the Amalekites and if so, a descendent of Esau, an enemy of the descendents of Isaac-demands to be honored as a divine in keeping with other Persian prefects. Mordecai, a Jew, will not worship anyone but the One True God, ergo….